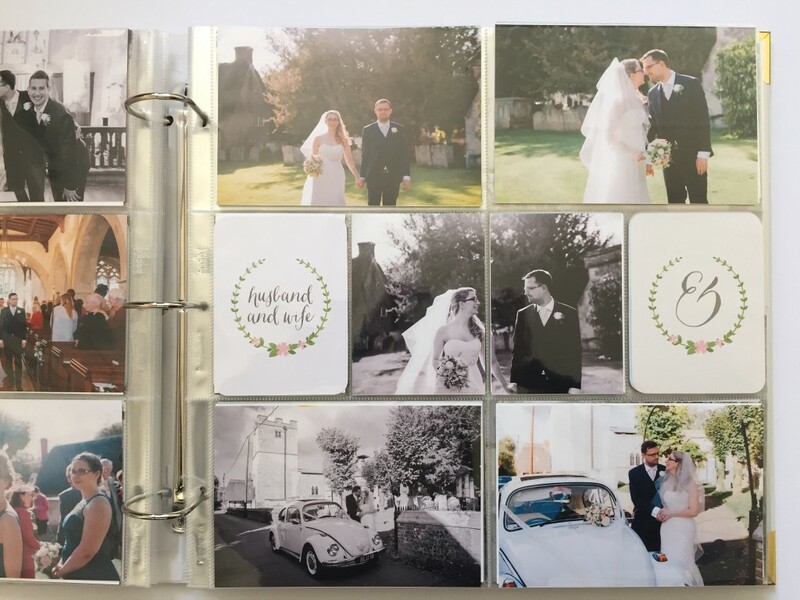 It’s been four months since my wedding and it’s taken me ages to finish my Project Life wedding album. There were so many wonderful photos to choose from and it took me awhile to pick through and select the ones I wanted to use. 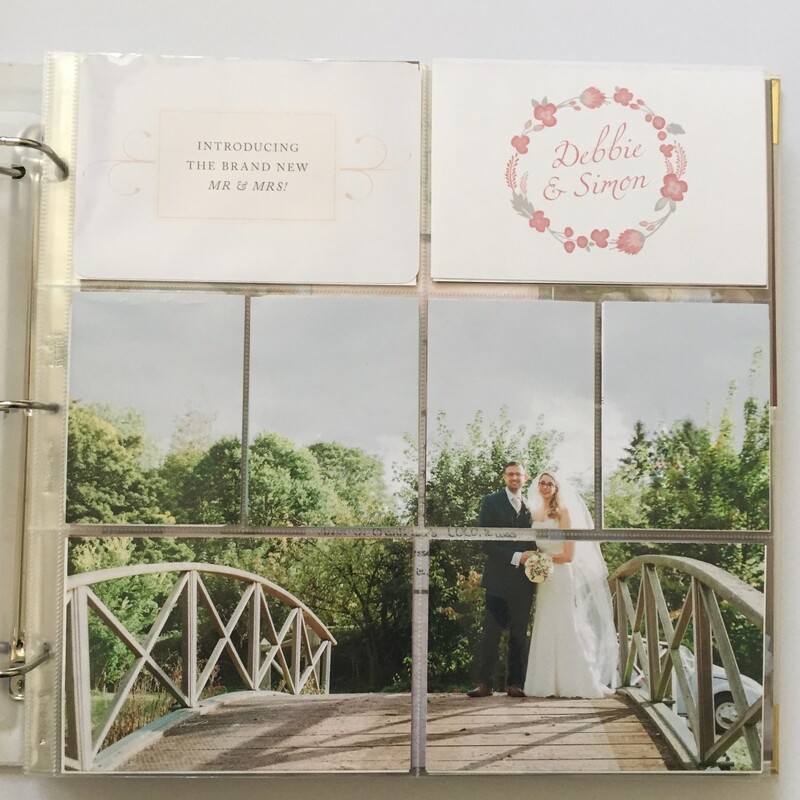 For the album I picked up the Project Life Southern Wedding album from Hobbycraft which is 12 x 12. 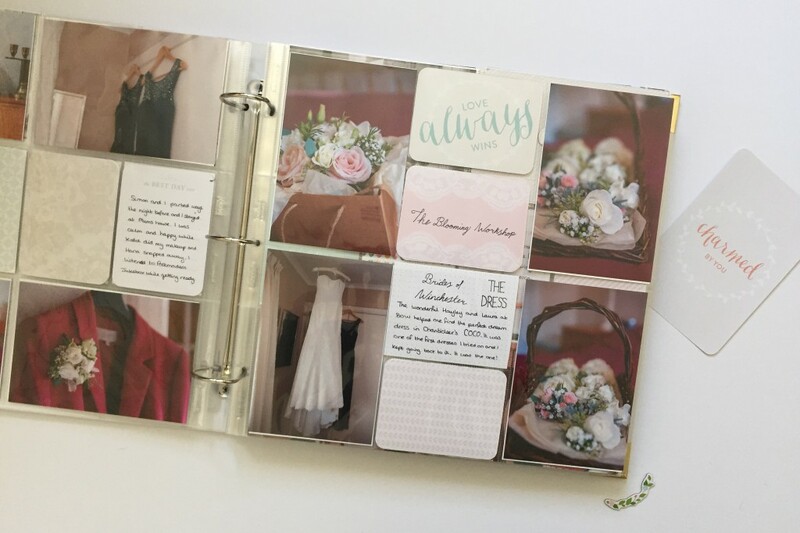 I used design A and D page protectors for this album. 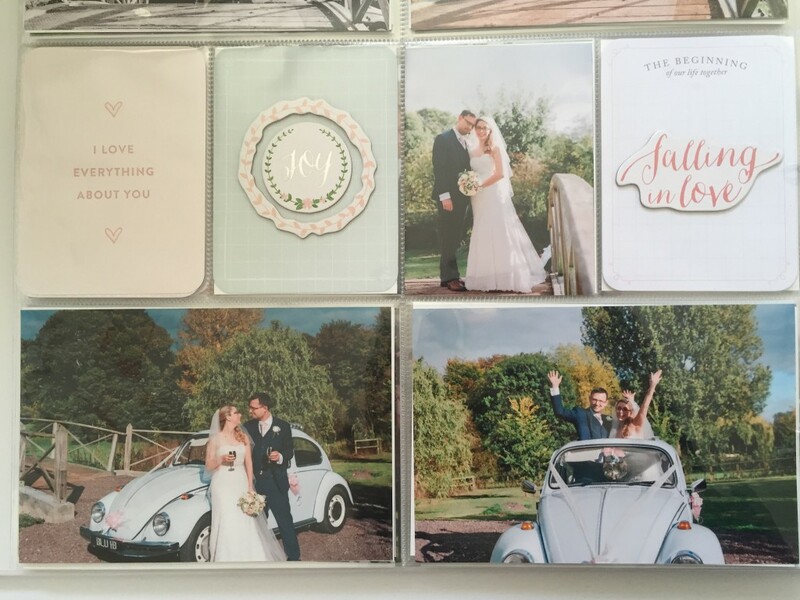 A lovely lady on Facebook sold me 60 odd journalling cards from the Southern Wedding collection which was really useful as there was no way I’d need a whole kit! I did pick up these cute chipboard stickers from the same range to decorate the pages. The photos were all taken by the most amazing photographer Hana Venn, who is a Hampshire based wedding photographer. She was amazing every step of the way. As soon as we met her for a coffee I knew she was the right person for us. She’s really friendly and put us at ease in front of the camera on our pre-wedding shoot. On the day she was more like a friend with a camera giving me tips and just being the best photographer a girl can have. 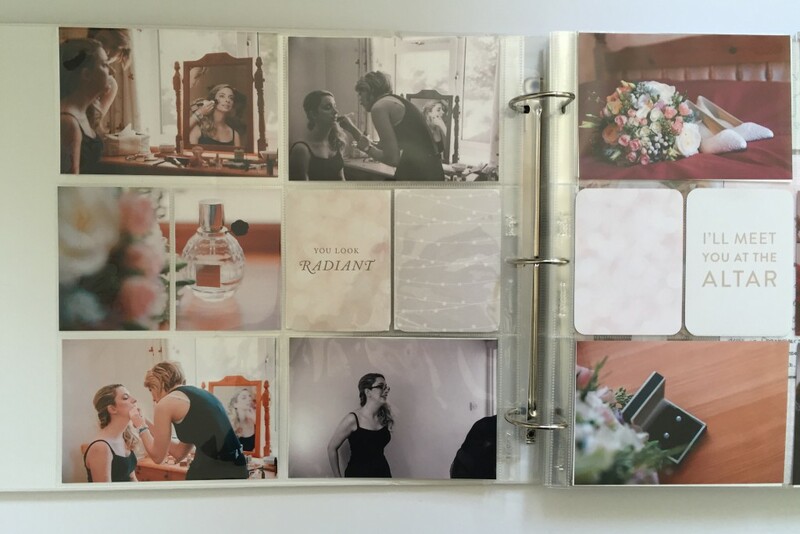 And I absolutely adore my wedding photos and albums. I loved my dress! It was the dream dress. It really was the only dress. It was one of the first ones I tried on at Brides of Winchester and it was something I was adamant I wouldn’t wear. It was lace and strapless, the two things I really didn’t want. But I tried it one and we added a belt and a veil and I fell in love. Me being completely indecisive decided to have a look at a couple more shops, and then a few more after that. I tried on about 50 dresses and nothing compared to this dress. Coco (as it was called), was the one! I’ve talked about Amy Baker before; she’s a wonderful singer who we often see at a local cafe. She sings 40’s and 50’s songs that just make you want to dance. The first time we saw her perform I knew I wanted to have her singing at our wedding and I was over the moon when she said yes. Everyone adored her and it was really special dancing to Fly Me to the Moon as our first dance. I haven’t photographed all the spreads but another one I want to mention is this amazing Beetle called Bluebell. Vince from Vinnie’s Vintage Vehicles travelled up from Waterlooville in Bluebell to take me and my mum to the church. I found picking a car really hard as people kept telling me to get a traditional car when really I wanted something more me and relaxed. Vince’s cars (and vans) are all quirky but Bluebell was the one for us. It was such fun bobbing along in the Beetle to music. We got quite a few looks! 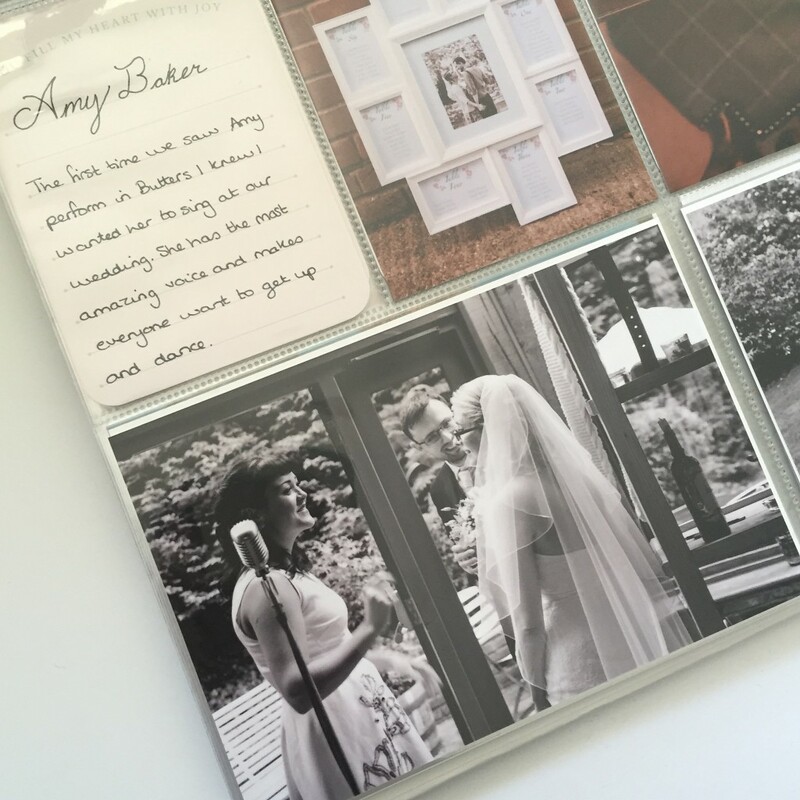 I really enjoyed looking back on all the memories of our wedding day and making little notes on the cards. It was like I got to experience it all over again.